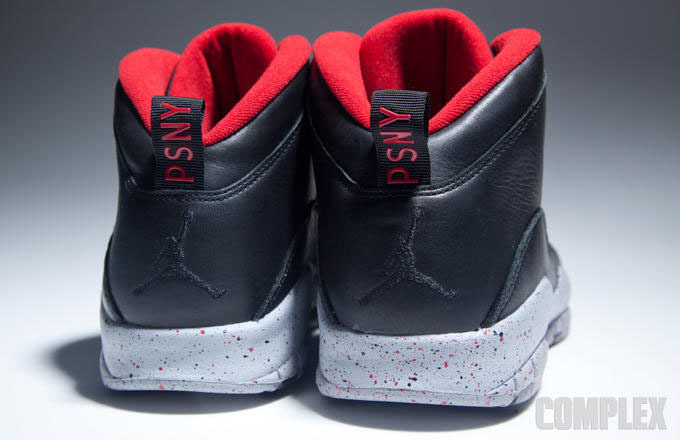 A detailed look at the fashion label's latest Jordan collaboration. 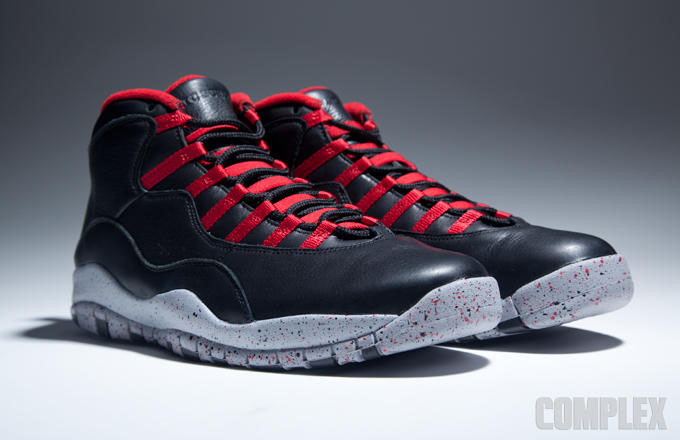 On the heels of its much talked about Air Jordan 1 collaboration, New York-based fashion label Public School unveils a co-branded Air Jordan 10. 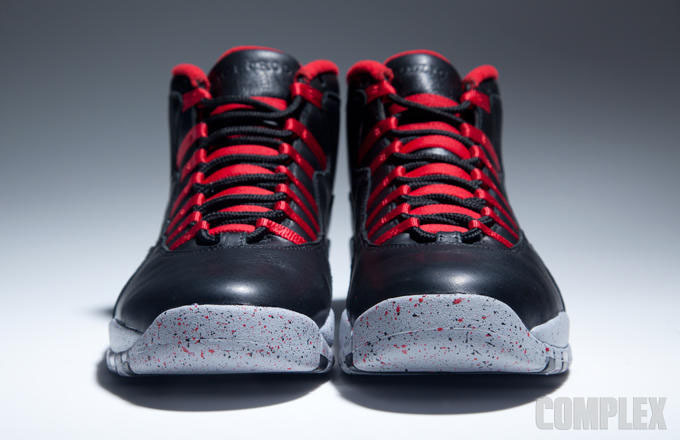 Complex provides a detailed look at the shoe, unfortunately rumored to be a Friends & Family exclusive. 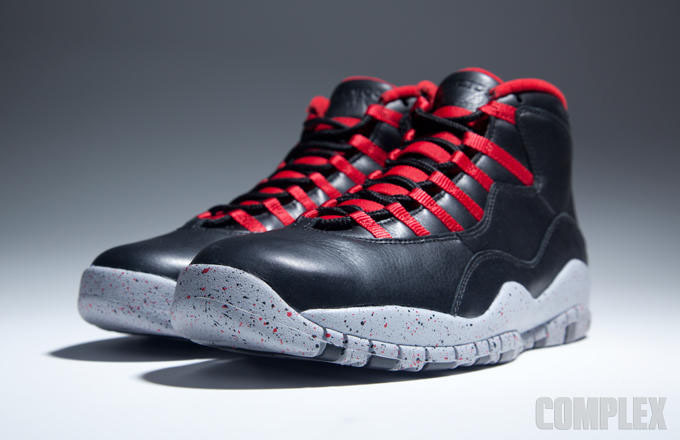 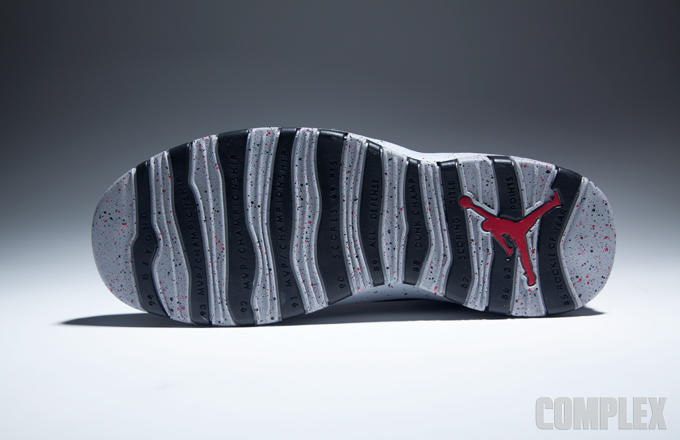 One of two Air Jordan 10 styles created by Public School, this version sports the traditional Bulls-flavored black and red scheme, finished off by a cement grey outsole. 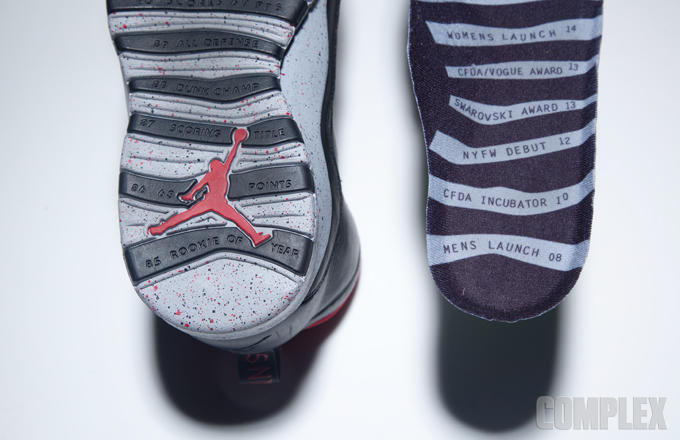 PSNY is noted on the heel tab, but what really puts the collab over the top are insoles printed with the label’s accomplishments, a salute to the Air Jordan 10’s achievement-bearing outsole. 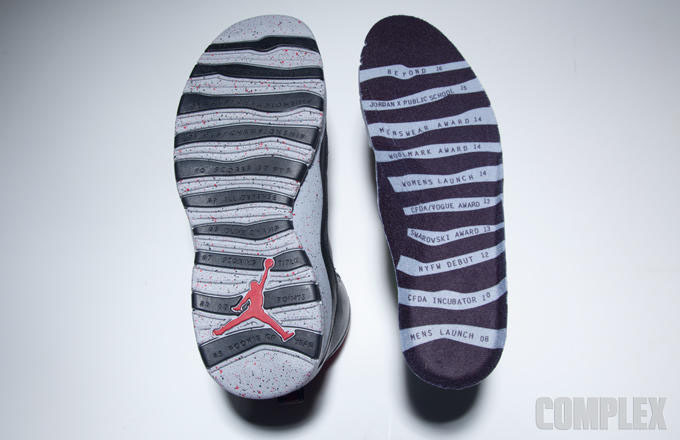 Again, nothing has been officially announced, but don’t expect a retail release of this pair.